When a software-based business that's built to save people time and money realized that its payroll system was hurting its very own bottom line, it was time for an update. Bandwagon is a ridesharing service available at Penn Station, Laguardia, JFK, Newark and the Port Authority Bus Terminal. The company uses existing transportation – licensed NYC yellow cabs – to instantly match passengers traveling to similar destinations. The result is less time in lines, lower fares and reduced pollution. Everyone wins ... except Bandwagon – whose field agents were submitting inflated timesheets that were directly contributing to profit loss. 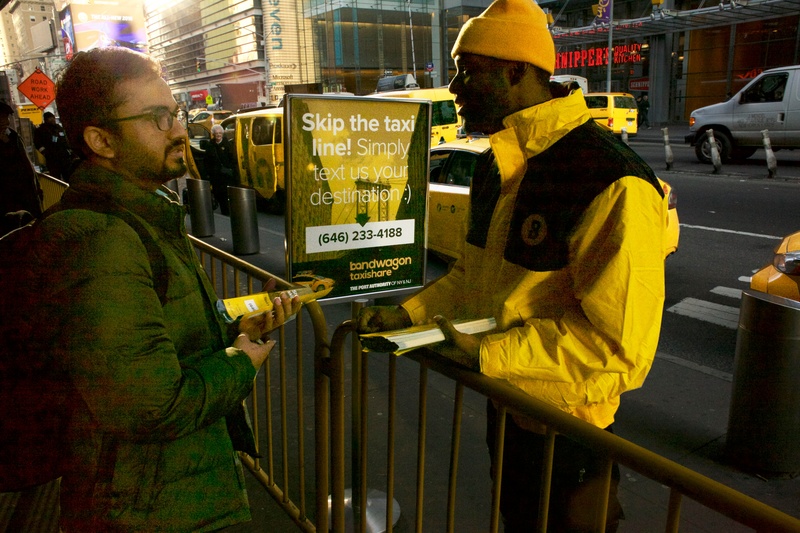 Since its inception in 2009, Bandwagon has employed field agents who serve as both on-the-street promoters, as well as middlemen who cooordinate with taxi dispatchers. Payroll is a hybrid structure of commissions and hourly wages. While commissions were always automated, hourly wages were submitted by managers who would log the time when the agents would show up to the site. According to Bandwagon Director of Operations, Jonathan Internicola, "It was basically the honor system, and the reported times were always perfectly rounded. It was obviously questionable." There were plenty of "gotcha" moments to back up the dubious hours being reported. Bandwagon sent out secret shoppers to conduct site visits around New York City. Internicola recalls, "We'd get reports back from the Secret Shopper saying that she had dropped by, but our agents weren't there ... and in fact, didn't show up until 45 minutes after the time they say they arrived ... I realized how much money we were wasting." How does a high-tech software company end up with an archaic payroll system? Simple. The methods that worked for Bandwagon, the startup, no longer served the now established company. "We are a software company and most of our processes are automated and pretty high-tech ... yet our payroll system was really low-tech. We needed to fix that somehow." Having researched (and even tested) a few employee time tracking systems, Internicola found that while some offered geolocation services, the severe battery drain on his field agents' phones was a deal breaker. Ultimately, they found that offered the geofencing technology that would provide the hour and location accuracy that they were seeking, without the negative battery effects on employee smartphones. "Timesheet Mobile is a really good balance for what we need; The pricing is reasonable, and every time I've had a question, I've been able to reach out and get a solution ... it's great to have that level of customer service." With the majority of the staff on the software side of things, employee timekeeping was fairly unchartered territory for Bandwagon. They were pretty new to the space – in terms of managing people, but the simplicity of the Timesheet Mobile setup made it easy. Bandwagon kept the training informal: an email announcing the switch to Timesheet Mobile software, user guide links and video tutorials, with encouragement to ask questions as needed. Intercola reports that while his smartphone savvy employees adapted quickly, he loves "having the IVR option as a fallback in case our agents ever need a dial-in option – it's a great benefit. " "We've realized that investing a mobile timekeeping system is TOTALLY worth it. You make the cost back almost immediately. Pays for itself. And it's helped us significantly cut payroll costs – by over 25 percent – HUGE!"